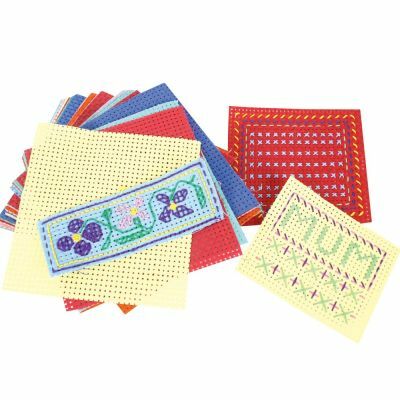 Ideal for practising sewing skills, samples and small textile projects these assorted binca squares are suitable for primary ages who can develop sewing skills whilst having fun creating colourful craft work. The squares are pre-cut and ready to use which saves time and ensures there is no mess or waste! Available in packs of 50 pre-cut squares which includes an assortment of colours.